Visited the Otago when she came to Dunedin recently. When asked where the helicopter was, I was told that the ship didn’t have accreditation to operate a helo and wouldn’t likely be able to operate a helo until well in to next year. I wonder if this is a stability problem because the OPVs are 100 tonnes too heavy topweight? The OPVs are currently not authorised to land on aircraft because they must first complete a number of trials referred to as First Of Class Trials with the SH-2(G) Seasprite helicopter. These are very technical trials which determine the minimum, optimum, and maximum safe wind conditions along with ship movement limits relative to the aircrafts performance and required pilot workload. These trials must be conducted by an authorised testing agency with certified test pilots in the full range of weather/sea/ atmospheric conditions and aircraft configurations. As such, these trials are planned for certain seasonal periods which provide the best range of conditions, the availability of the test pilots/equipment and of course the ship’s operational taskings. 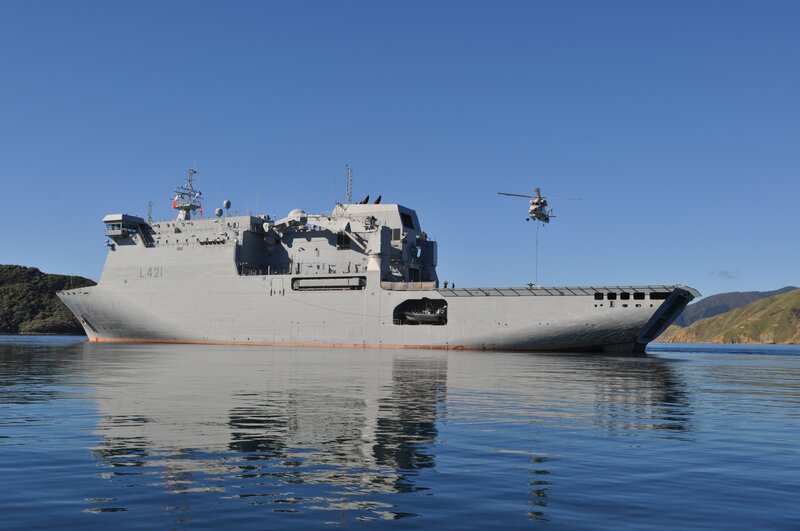 The first land-on of a Seasprite will likely be before the end of 2010 while berthed alongside. This will be an interface trial to ensure things like the aircraft tie down points are in suitable positions, there are no unexpected obstructions and the aircraft deck movement system works correctly. The OPVs are already authorised to conduct winching and helo replenishment (in the hover), they just cannot land the aircraft on at this stage. Thanks Dave. In essence then, these vessels haven’t really finished sea trials, have they. What a waste of tax payers money – from whoa to go it will have been about 5 years before they eventually become fully operational! 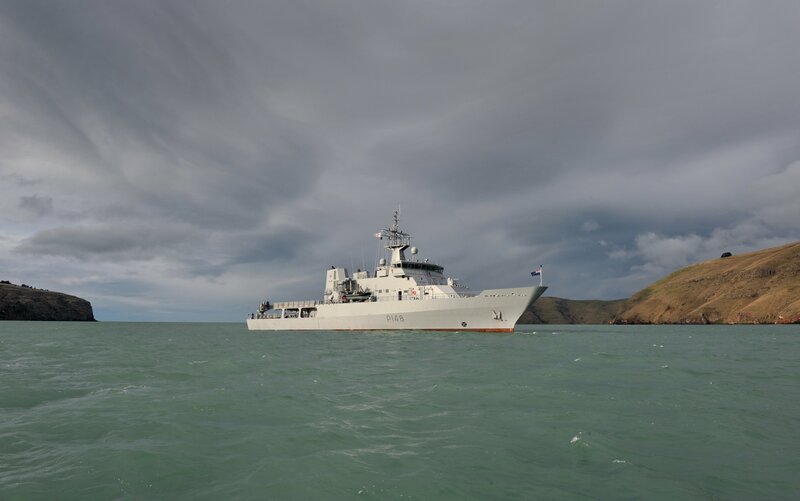 Why can’t the RNZN purchase “proven” vessels, rather than “first of a class” that comes with all the associated construction, post commissioning structural and engineering problems, delays, plus the financial costs of “making things right”, as shown with the Protector Class. It will be interesting to see, in time, other world navies will purchase vessels the same as ours! The HMNZS Charles Upham or the “shortened” Brooke Class patrol boats all had their problems. Well John, how else can you buy a fleet for $500,000,000!